The Carbon Male Zipper Back Short John is engineered for triathletes. Designed to impact body temperature, breathing, heart rate and lactic acid concentrations, the TEMF6A Men’s Zipper Back Short John showcases a second-skin compression fit for rapid moisture transport and muscle support. Silicone beaded leg grippers keep the Carbon Short John in place while a 12-Inch Zipper with removable clip lanyard, allows for easy on / easy off use. Built for speed, the Men’s Triathlon Short John features hydrophobic Teflon coating to cut through the water. 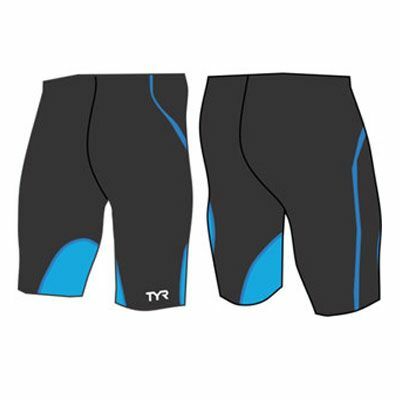 Dominate the disciplines in the TYR Men’s Competitor Tri suit. Constructed from our advanced Competitor woven technology, this Tri suit offers stretch, recovery and durability. Equipped with specialized compression webbing for increased blood flow and maximized muscle performance, this Tri suit exceeds the bounds of apparel. In addition to UPF 50+ protection, it includes a free finish leg grip for a no slip fit that’s comfortable on the limbs. With a built in competitor amp pad, the athlete’s body weight is strategically absorbed while in aero position, keeping you feeling cool and unrestricted as you run or bike. 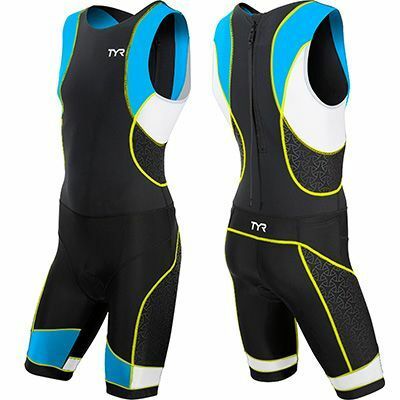 Besides lightweight, quick-drying and ultra breathable fabric, the TYR Men’s Competitor Tri Suit also includes back pocket storage and an 11” front locking zipper. 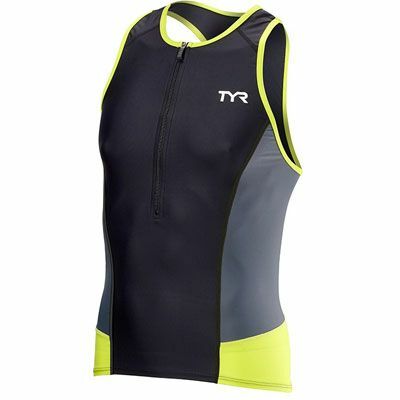 Dominate the disciplines in the TYR Men’s Competitor Tri Tank. Constructed from our advanced Competitor woven technology, the Tri Tank offers stretch, recovery and durability. Equipped with specialized compression webbing for increased blood flow and maximized muscle performance, this tri tank exceeds the bounds of apparel. In addition to lightweight, quick-drying and ultra breathable fabric, the TYR Men’s Competitor Tri Tank also includes UPF 50+ protection, back pocket storage and a 10” front locking zipper. Dominate the disciplines with the Men’s Competitor Trisuit with Back Zipper. Constructed from our advanced competitor technology, the triathlon suit offers stretch, recovery and durability, giving you the feeling of a second skin. The triathlon suit boasts advanced competitor woven technology, which has moisture wicking technologies that help keep you light and dry even in the most extreme races.These competitor trisuits are also equipped with a specialized compression web for increased blood flow and maximal muscle performance. 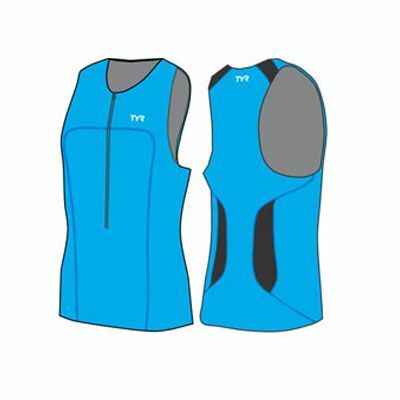 In addition to soft competitor mesh, this tri suit features a breathable, built-in competitor amp pad, which strategically absorbs your weight while in aero position and keeps you feeling cool and unrestricted while running or cycling. 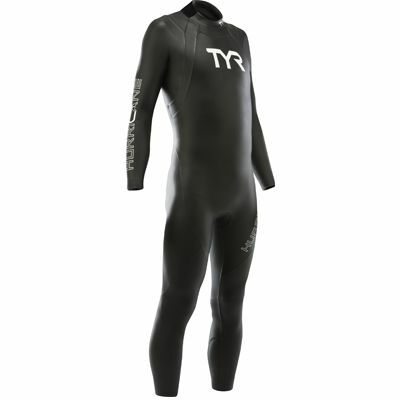 This TYR mens tri suit is more than apparel. It’s equipment. It offers a convenient 12” locking back zipper, silicone beaded leg gripper, pocket storage and UPF 50+. The All New Category 1 Hurricane Wetsuit offers high level performance at an unbeatable price. Constructed with Slick Skin Neoprene, the CAT 1 is the perfect wetsuit for aspiring triathletes and competitors, since it boasts minimal drag and maximum speed and durability in it’s class. Showcasing Free R.O.M. (Range of Motion) Zones, the HCCNM6A eliminates constriction, allowing the swimmer to achieve a long reach without placing strain on the shoulder, while Formfitting Wrist Cuffs keep water from entering the suit. Engineered for triathletes, Quick Release Ankle Cuffs allow for quick and effortless removal during T1 and strategic Speed Wrap Paneling placed throughout the leg, chest and core raise the swimmer in the water to reduce form drag. The All New Category 5 Wetsuit utilizes a slew of advance features to provide unrivaled comfort, optimum stability, crazy speed and energy efficiency in the water. Designed for elite triathletes, the CAT 5 showcases 100% Yamamoto 39 Cell Nano SCS Coated Neoprene exterior to provide unsurpassed buoyancy in the water and now boasts some of the same cutting-edge features as the world-renowned Freak of Nature wetsuit. Showcasing Free R.O.M. (Range of Motion) Zones for comfort, the CAT 5 wetsuit eliminates constriction, allowing the swimmer to achieve a long reach without placing strain on the shoulder, while Formfitting Wrist Cuffs keep water from entering the suit. Engineered for triathletes, Quick Release Ankle Cuffs allow for quick and effortless removal during T1 and strategic Speed Wrap Paneling placed throughout the leg, chest and core give you the feeling of a second skin, while maximizing body position and minimizing drag. Elevation panels in the chest, core, obliques, buttocks and thighs elevate the swimmer’s position in the water, ensuring optimal body positioning, buoyancy and speed, while muscle groups are specifically targeted for core stabilization and long-term preservation of core strength. Alpha Catch Panels are strategically engineered on the forearm to allow for a maximized catch-and-release stroke. An insulated, thinner layer lies underneath to allow a feel for the water. Revolutional Energy Male Race Short with Pad. The Revolutional® Energy fabric is endowed with high compression action, it offers extraordinary elasticity, optimal muscular compression, an excellent fit and great coverage, and is also exceptionally breathable. Revolutional® Energy can correctly sustain muscles, increasing efficiency of movement and reducing muscle fatigue. The Cold Black treatment is a unique application to the RE fabric in that it is a Sun Reflector and UV Protector. Dark colors heat up stronger when exposed to direct sunlight compared to light colors. This no longer needs to happen! Now there is coldblack®, a special finishing technology for textiles which reduces heat build-up and provides reliable protection from UV rays. Revolutional Energy Male Tri Tank with Zip with Cold Black Treatment. The Revolutional® Energy fabric is endowed with high compression action, it offers extraordinary elasticity, optimal muscular compression, an excellent fit and great coverage, and is also exceptionally breathable.Revolutional® Energy can correctly sustain muscles, increasing efficiency of movement and reducing muscle fatigue. The Cold Black treatment is a unique application to the RE fabric in that it is a Sun Reflector and UV Protector. What is Cold Black? Dark colors heat up stronger when exposed to direct sunlight compared to light colors. This no longer needs to happen! Now there is coldblack®, a special finishing technology for textiles which reduces heat build-up and provides reliable protection from UV rays. Revolutional Energy Male Zipperback short John with Cold Black Treatment. 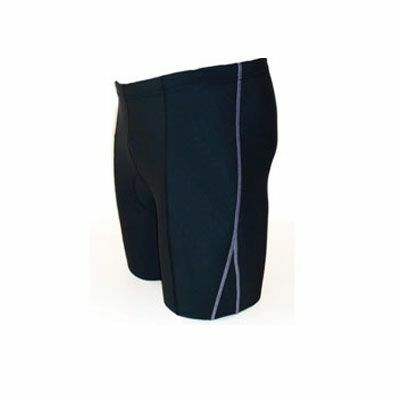 Revolutional Energy Unisex Race Short with pad. The Revolutional® Energy fabric is endowed with high compression action, it offers extraordinary elasticity, optimal muscular compression, an excellent fit and great coverage, and is also exceptionally breathable. Revolutional® Energy can correctly sustain muscles, increasing efficiency of movement and reducing muscle fatigue. The Cold Black treatment is a unique application to the Revolutional Energy fabric in that it is a Sun Reflector and UV Protector.